Cambridge University Press, 9781108418652, 306pp. Why do international peacebuilding organizations sometimes succeed and sometimes fail, even within the same country? 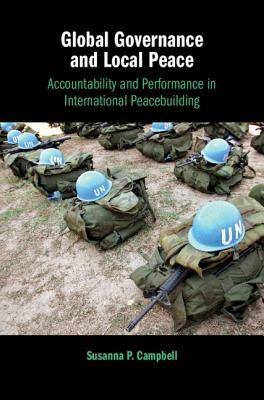 Bridging the gaps between the peacekeeping, peacebuilding, and global governance scholarship, this book argues that international peacebuilding organizations repeatedly fail because they are accountable to global actors, not to local institutions or people. International peacebuilding organizations can succeed only when country-based staff bypass existing accountability structures and empower local stakeholders to hold their global organizations accountable for achieving local-level peacebuilding outcomes. In other words, the innovative, if seemingly wayward, actions of individual country-office staff are necessary to improve peacebuilding performance. Using in-depth studies of organizations operating in Burundi over a fifteen-year period, combined with fieldwork in the Democratic Republic of the Congo, Nepal, South Sudan, and Sudan, this book will be of interest to scholars and students of international relations, African studies, and peace and conflict studies, as well as policymakers.